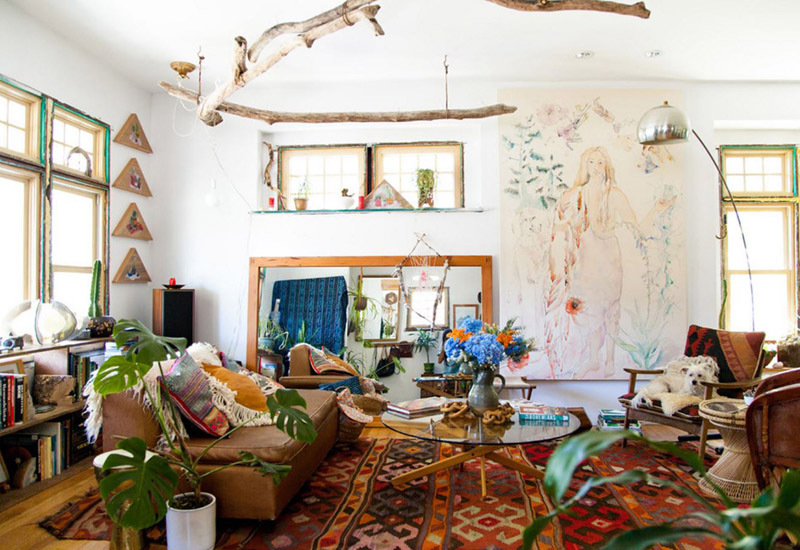 If I want to describe my personal taste in interior design, it would sound something like modern Scandinavian with a touch of bohemian. 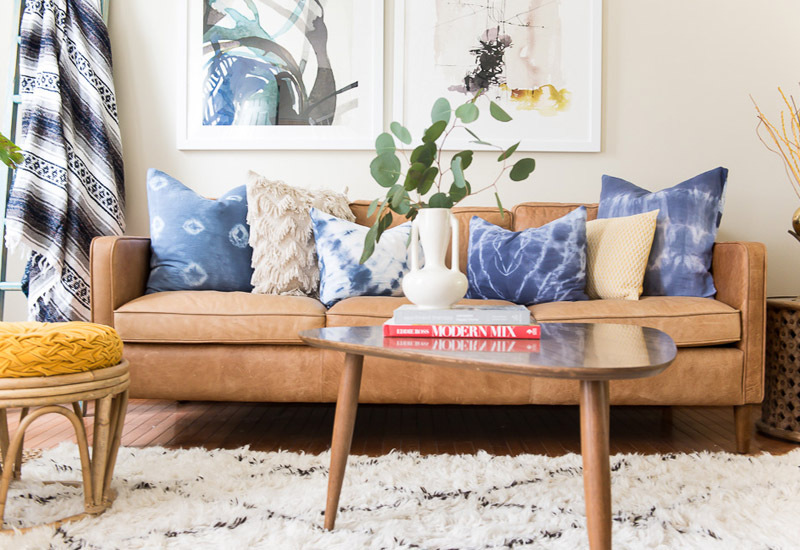 This can mean a lot of things, but to make it more specific, I like a laid-back, unfussy home, a limited amount of furniture and very few decorative pieces. Anyways, who is fond of removing the dust from dozens (hundreds??? Noooo!) of mostly useless objects? As you can see, heavy rugs are also basic elements of such interiors. 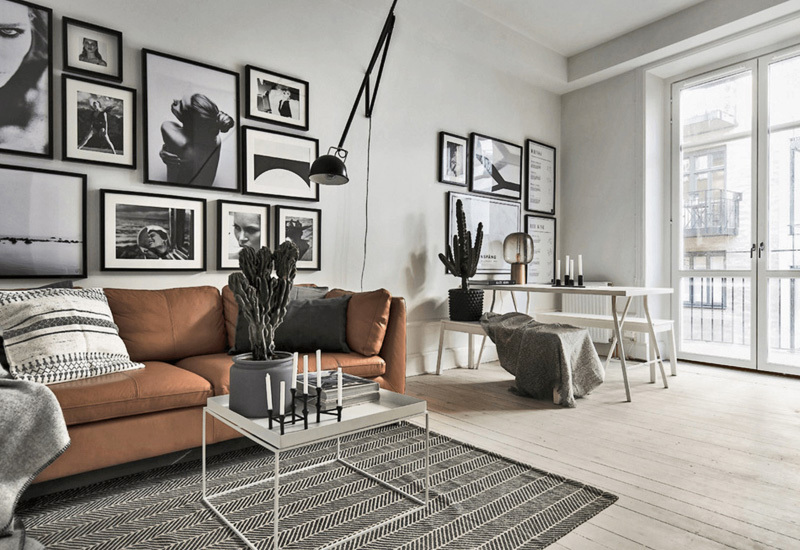 The second picture above shows a calmer interior compared to the first one and it also contains a few “cooler” elements, like the modern Scandi style round tables and the monochrome gallery. 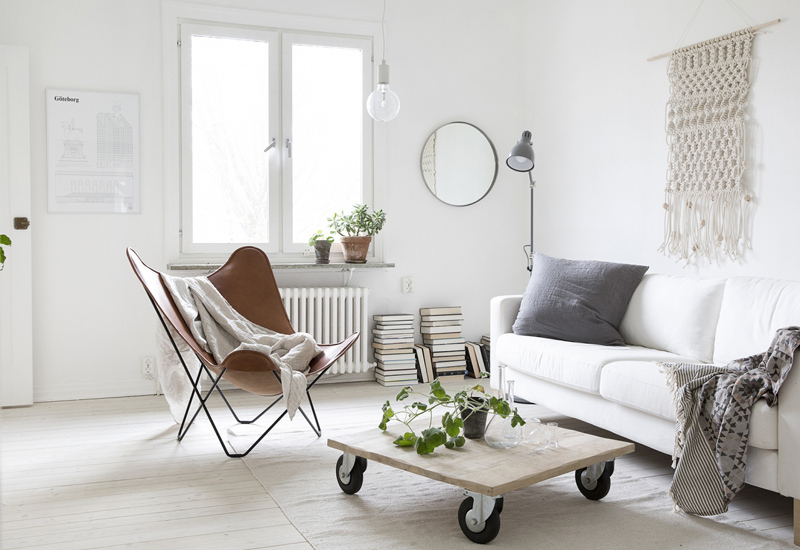 But you can also choose to have a more relaxed decor in your home and still have both the Scandi and bohemian vibe in it. 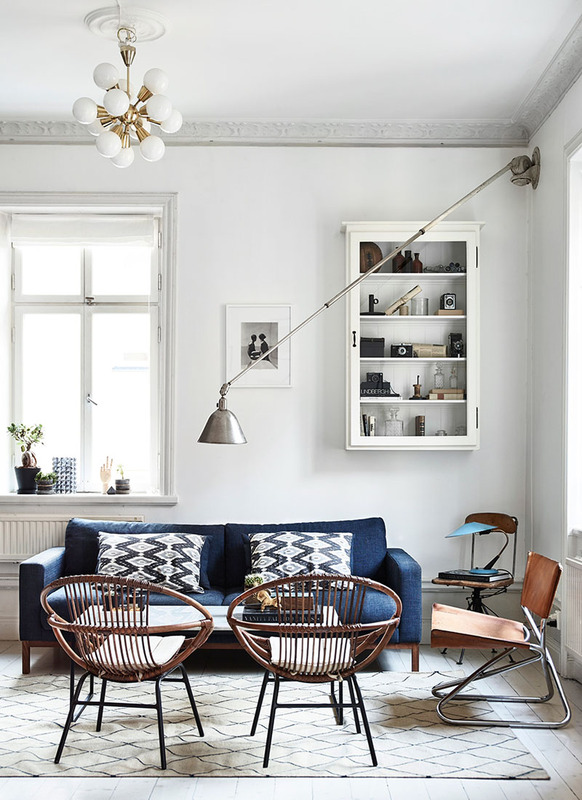 In that case you can combine a minimalist Nordic style with just a few details typical of bohemian interiors, but not too many colours. 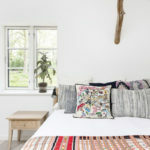 This interior detail is still a transition from a more colourful scheme towards a simpler solution, but the fluffy beni ourain style cotton rug is a very popular element in Scandi boho interiors. Now, here’s a space I would love to call my own. 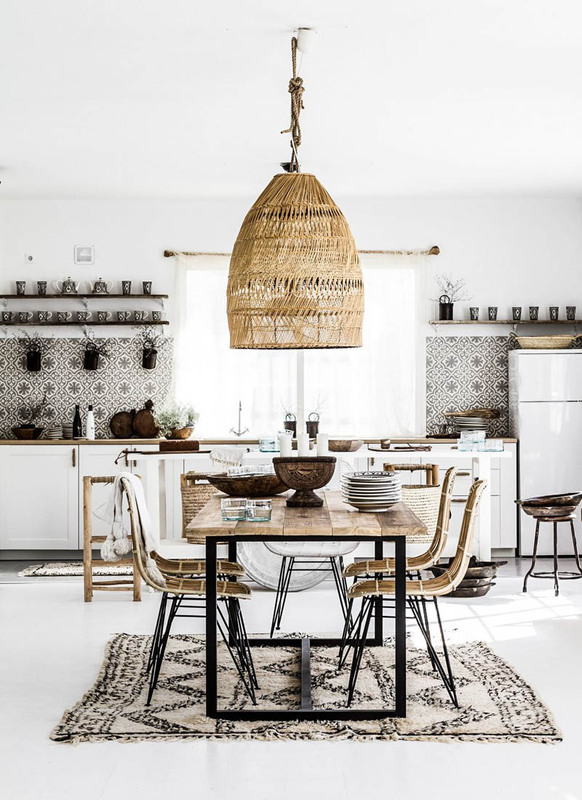 The beautiful handmade lampshade, along with the woven rug, the rattan seats and the wooden table top add so much warmth to the black and white kitchen and dining area. 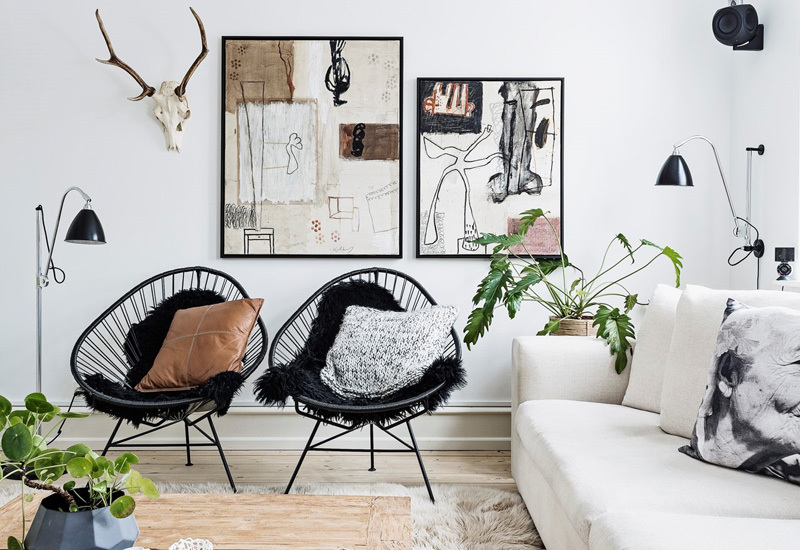 There is a relatively high contrast between bohemian and Scandinavian bohemian interiors and this picture is a good example for that: we can still see some heavy textiles, ethnic patterns, natural materials, like the rattan chairs, but all this is shown against a very reserved and mostly monochrome background. 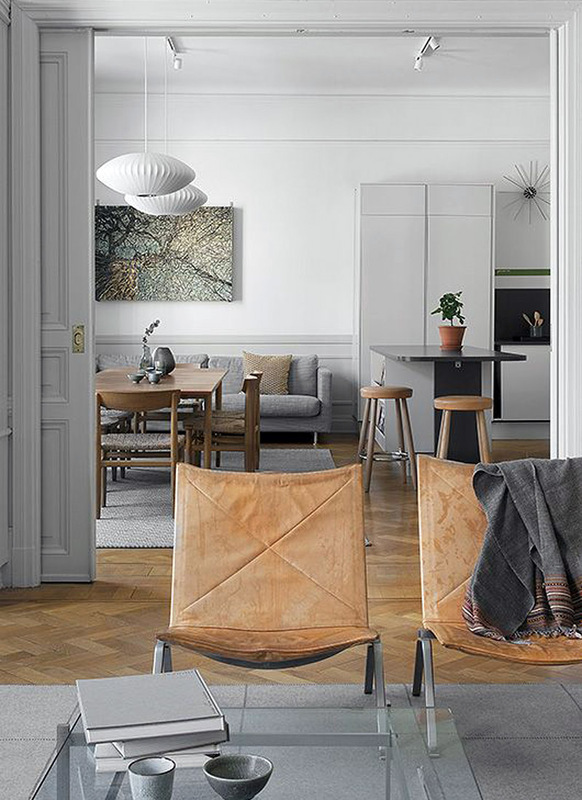 Another typical detail in Scandi boho spaces is the presence of sheepskin. I must admit I love it. It is warm in winter and cool in summer and it has the best insulating properties, if you ask me. 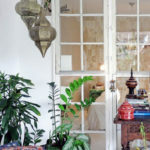 This is a detail from a Swedish boho style interior. 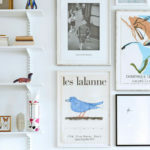 Macramé art has been definitely in trend for some years, but not anymore. I remember I used to make macramé decorations in my teenage years. 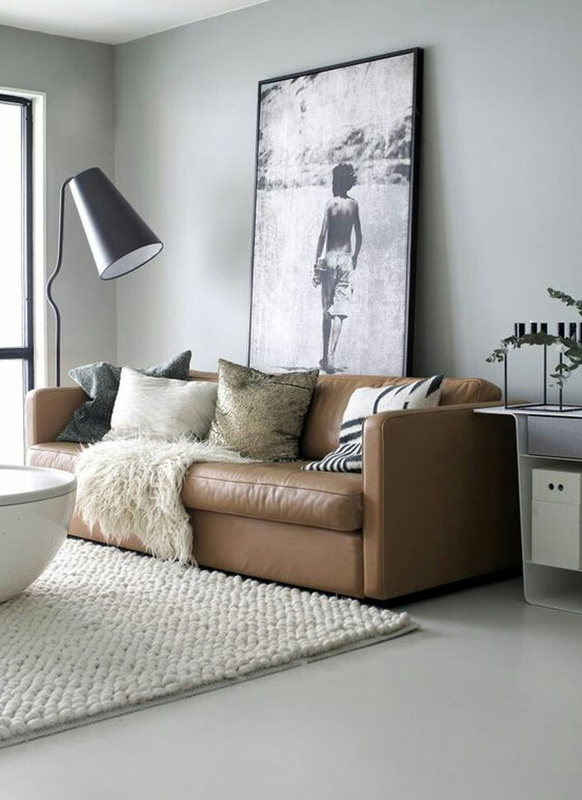 Tan leather elements are a very happy choice in Scandi interiors, because they are natural and their warm tone adds a little boho vibe to the space. 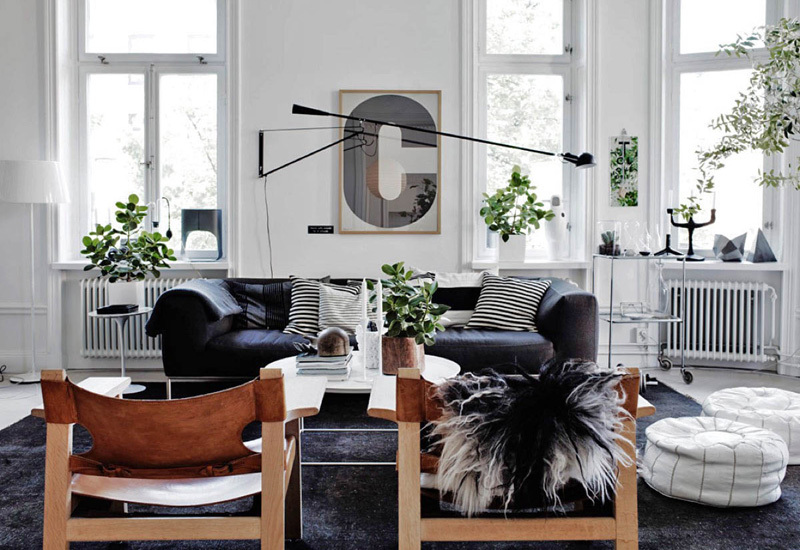 Sheepskin, wall art and poufs in another Scandinavian home. 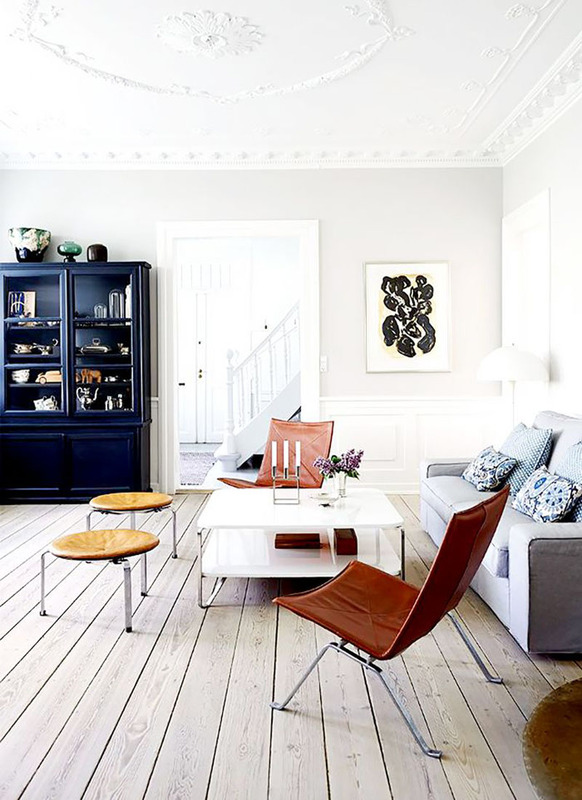 Check out my favourite Spanish Chair by Hans Wegner. This beautiful leather sofa comes from Ikea. 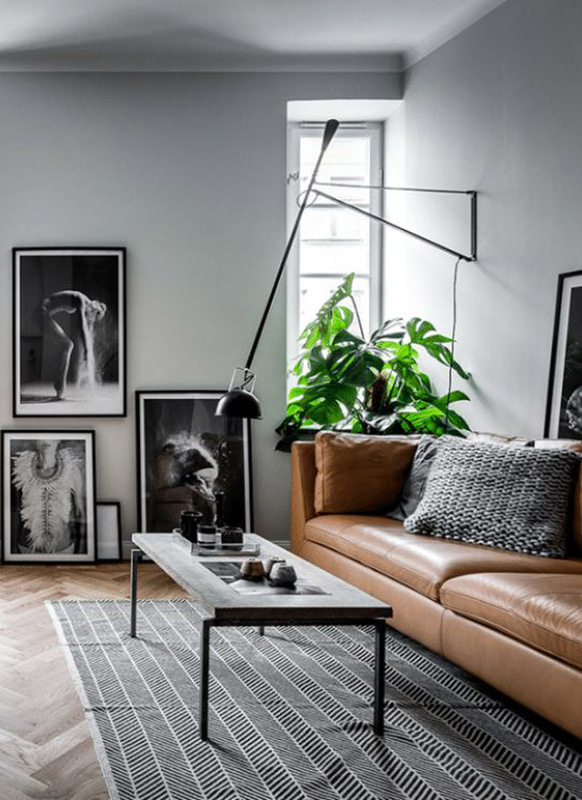 Huge monochrome posters leaned against the wall add an artsy accent to this very simple corner. 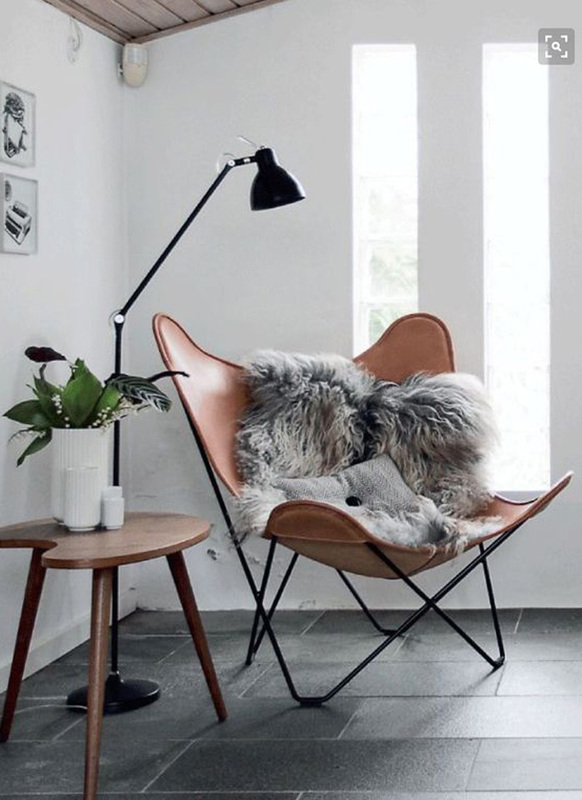 The butterfly chair with a cosy sheepskin is a must. 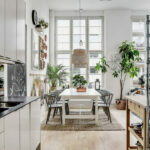 This interior has a very different style, I would rather call it a bit modernist with the dining set and all in all it is a modern interior, but the two lounge chairs with leather seats would look just as fine in a bohemian environment. 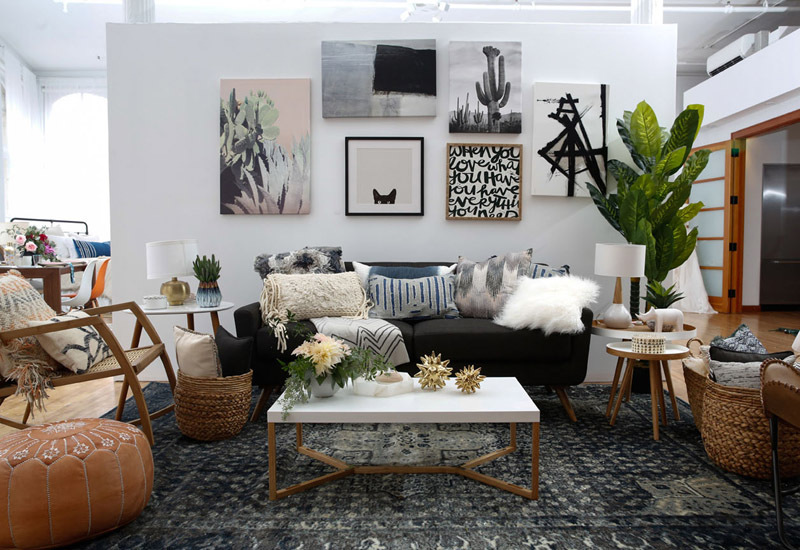 Another example, where a tan leather sofa with a warm sheepskin, a richly textured rug and a huge poster are a very good bohemian combination. 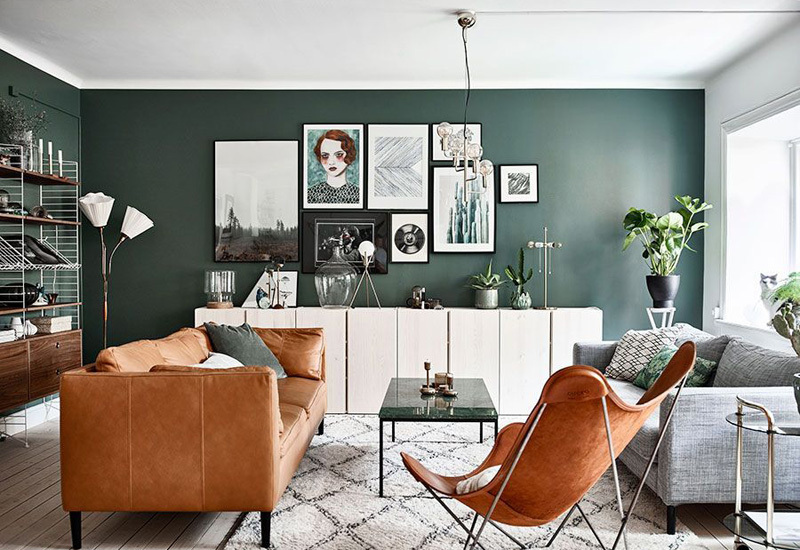 This one is a Scandinavian style interior, still a few elements – the greenery, the cushion with an ethnic pattern and the tan leather beauty – add a warm, bohemian vibe to it. Stay tune if you are into Scandinavian style, because next time I will pick another trend from this part of the world. Pictures sourced partly from Pinterest.